Did you ever see one of those animals that was so ugly it was cute? Well, that’s Lucky. She has a medical condition that’s left her with some funky-looking eyes, making her an unlikely candidate for adoption. But when a grieving family came to the shelter to pick out a new buddy, they fell in love and brought her home. 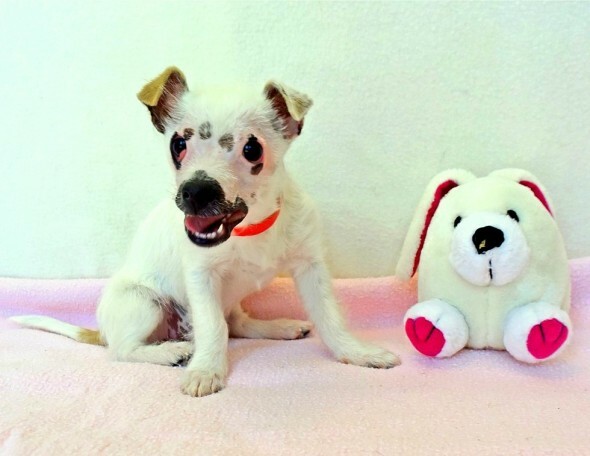 When Lucky, formerly Lisa, first set paw in the Humane Society of Silicon Valley, staff admitted that she was a bit “unusual looking.” At 10 weeks old, the tiny dog had facial scarring and cherry eye (inflamed eyelids), which can be corrected with surgery. Combined with her splotchy face and wiry hair, to some she has a rather unsightly appearance, and staff believed she’d be hard to place. “She could be hard to look at,” HSSV’s Finnegan Dowling told The Dodo. 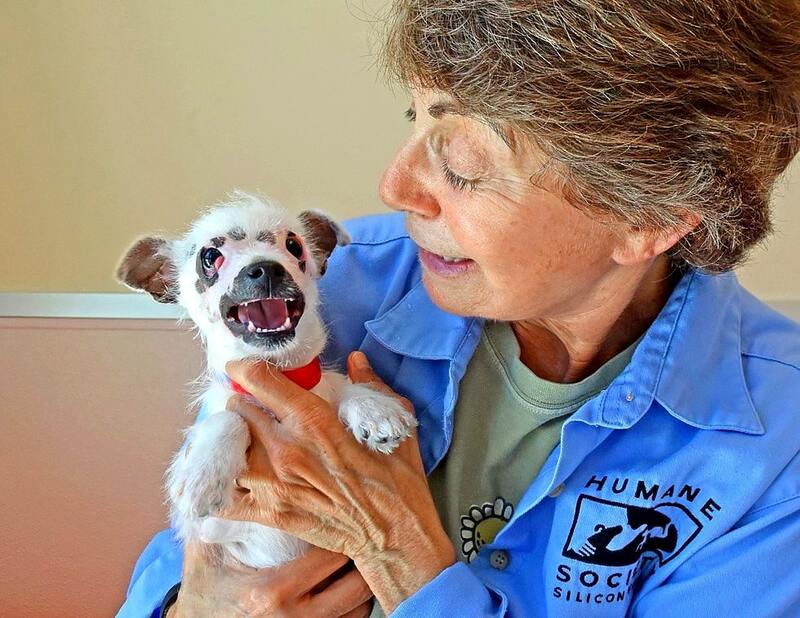 But when she arrived at the shelter, everyone fell in love with the little darling. But someone would have to be able to love Lisa for everything she is. And the right family was just around the corner. 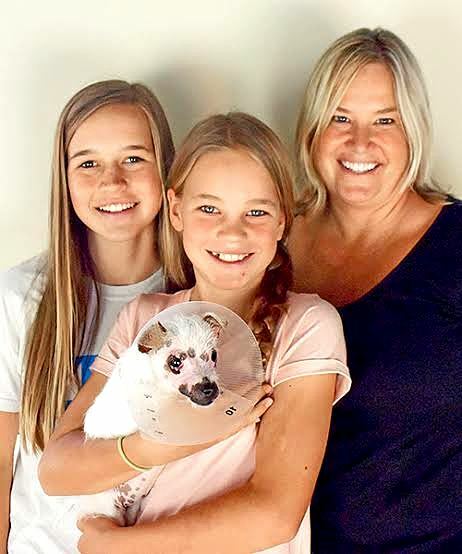 Christine Doblar and her daughters were recently forced to say goodbye to their beloved Chihuahua, Luna. Their six-year-old chocolate Lab, Pelé, was despondent and lonesome without his pal. They decided it was time to go to the shelter to see if they were interested in any of the dogs, and Lisa certainly got their attention. They went back that day and officially adopted Lisa, whom they renamed Lucky, “because we’re both Lucky,” Doblar said. 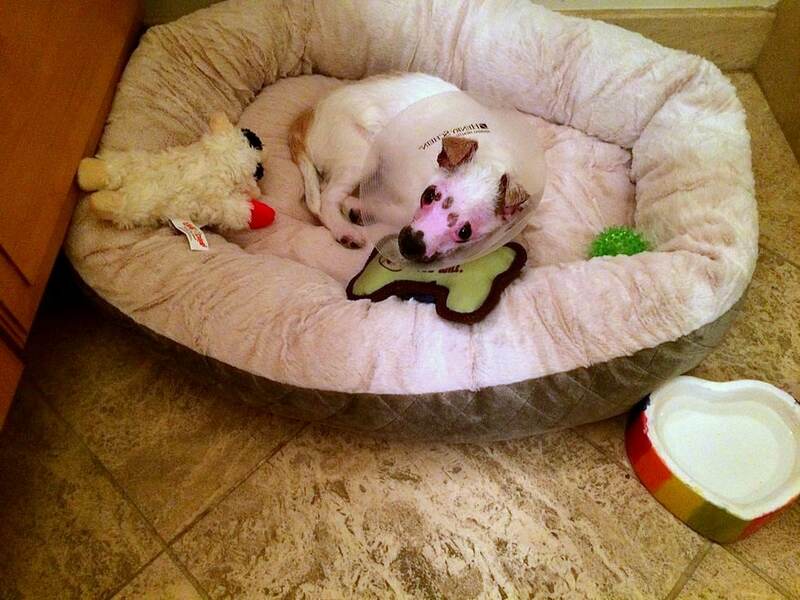 Lucky is now adapting to her new home, getting to know her doggie brother and the rest of her family. No animal is ever ugly, only human beings are!!! She is adorable, there is nothing wrong with the way she looks. Beauty is in the eye of the beholder. he is not ugly he is beautiful !!!!! Awwww! 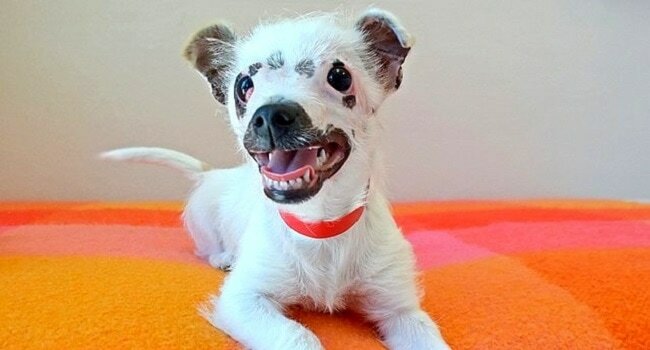 Never seen an ugly DOG when it’s a reflection of its makers name spelled backwards……… GOD!! I’ve nver seen an ugly dog. 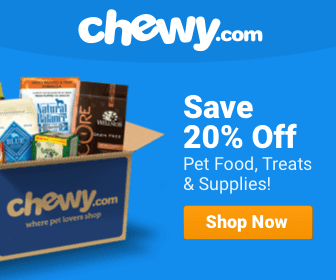 How lucky this dog and family are that they all think each other is just perfect! 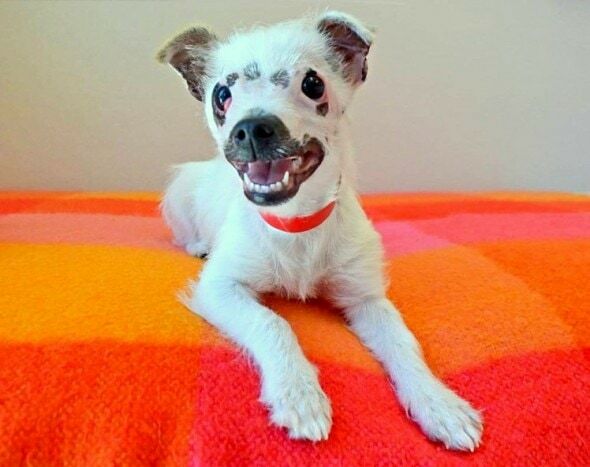 I love it when people adopt the special needs animals…..I would have them all if I had a farm…..
No such thing as an ugly dog/animal. ? The ugly one’s need love to. That is what my girlfriend tells me all the time, i wonder why ?? Beauty is in the eyes of the beholder.All I see is a little sweet dog. ugly?? please check your vocabulary..
No animal is ugly, and they all deserve a chance for a happy home. She is unique and beautiful. I bet she is also beautiful at heart. God love her! I have read allot of the posts…perhaps Life With Dogs should reconsider the verbiage of this post….just my observation. She isn’t ugly. She is beautiful. I think she looks awesome. Almost like she is part wild hyena. WOW what an adorable dear little dog. I would take her in a second. These are wonderful very LUCKY people. This is a beyond special dog.